It recently came to my attention that there’s an American in Chengdu practicing and teaching a form of Japanese ninjutsu called Bujinkan. Since kung fu is celebrated as the dominant local martial art, I thought it would be great to learn more about the culture of this martial art and its development in Chengdu, so I conducted an interview with this person, named Robbie Worth. This post joins other interviews with local personalities, some of which include martial artists from other disciplines like Brazilian jiu-jitsu. If you have any thoughts on this story or questions for Robbie, leave a comment below. 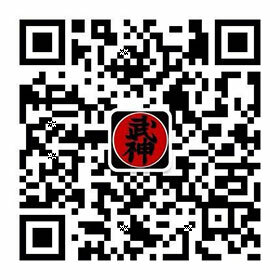 There’s also a QR code that you can scan with your phone to join a local group for Bujinkan Budo Taijutsu. Chengdu Living: Who are you? 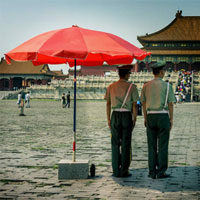 Where are you from, how long have you been in Chengdu (or China), and what brought you here? My name is Robert Worth, people call me Robbie. I’m from Toledo, Ohio in the United States. Originally I came to China when I was 12 years old, but for only a few weeks. The experience stuck with me enough that I decided to study Chinese in college and came back to study for a semester in Chengdu back in 2006. After my semester at Southwest University, I returned to the States to continue my studies in martial arts. CL: Describe the martial art that you study – where is it from and how did you get into it? Did you have a dojo or master that you learned from? If so, can you describe that experience? Robbie: I study Bujinkan Budo Taijutsu. The day I found my teacher I was in the park practicing another martial art (Jeet Kune Do) with a friend of mine. Across the field from us was a group of students practicing escape techniques with blinding powder (seriously). It peaked my interest because it was similar to a martial art I had read about in a book. I joined the dojo and trained 3-4 days a week, even helping out with the local university classes. I remember thinking that my instructor was the scariest person I had ever met up to that point in my life. Now he is like a father to me. Learning any martial art is a journey. There is really no better way to put it. My instructor once told me that there are many places to go on for a journey, but the scariest and most challenging is the journey inward. And that’s exactly what a true study of martial arts is. On the other side of that, I can remember learning the basic forms of Taijutsu and fumbling through them blindly. I can also remember reading books about people who seemed like fictional characters from a fantasy story. I am now a 5th degree black belt and have made good friends with some of those people who seemed unreal to me at one point. I have literally trained with grandmasters and had drinks with people who are beacons of development for this thousand year-old art. 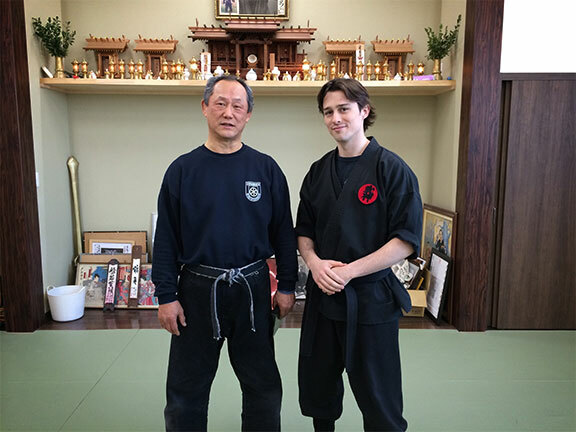 I travel to Japan as often as I can to further my studies and the more people I meet in this martial art, the more I am glad to have chosen this continuously humbling path. CL:How is Bujinkan Budo Taijutsu different from muay thai and other striking forms, or jiu jitsu and similar grappling forms of martial arts? Robbie: I will say this first, and this is something I say to every prospective student that walks into my school: There are many different ways up the mountain, your baby steps into martial arts is finding the path up that mountain that works for you. There are only so many ways a human body can move or be moved. You can literally learn the same thing in any martial art if you are willing to put in the time and effort. As for a basic “what is the difference?” answer, I would say that we focus on “intent” in the beginning stages of Budo Taijutsu. That means every time your training partner goes to hit you, they are actually aiming to hit you (that does not mean we move fast or try to hurt each other). This is a very important aspect to learning how to survive a violent and potentially deadly situation. It teaches everything from proper distance to controlling and using your own emotions. I also want to say that we do pretty much everything from empty-handed techniques to weapons-based training. We also focus on using the whole body to apply technique. This helps us study natural movement and use as little muscle as needed. CL: Since you’ve arrived in Chengdu I understand that you’ve been advancing your martial art and sharing it with new people in the city. Can you describe what you’ve been up to, and what that experience has been like for you? It’s also been great to see students progress in the art. It’s so rewarding to see someone who was once wearing a white belt helping teach class. So I have to take this opportunity to “shout out” to Alex and Eva, my two top ranking students who are a constant reminder of why I do what I do. We are now looking into the possibility of training in a park on the weekends. Maybe even doing events at different universities. We are also open to starting back up our kids classes. My dream is to one day have a large multi-art seminar of different foreign arts where people from many different schools could come together and train with different teachers. If done correctly and with an open mind and heart, it would be a great opportunity for making new connections and building the martial arts community. CL: What’s an average training session like for you? Where do you train? Is there any equipment involved? Robbie: We train in the Shaocheng Fudi building on Changshun Middle Road (????98??????? ?on Mondays and Wednesdays from 19:30-21:30 Its reasonable walking distance from People’s Park subway station, and even closer to Kuan Zhai Xiang Zi. Mostly every class starts off with stretching and warm up. We will then move into ukemi (rolling and falling skills). Depending on the overall skill of the class at the time, we then typically choose a technique from one of the schools and study it’s basic form. We may go onto another technique after that, but we usually stick with one theme and study many different variations. Sometimes its a little intimidating for a new student with no experience to come into a school as a white belt on day one. I’m often asked if I teach a basics class. The answer is no. We all work together to help move the class forward. If you come in and don’t know whats going on, that’s good. Just stick it out and by the end the the third month you are going to see a huge difference. CL: How would you describe the martial arts scene in Chengdu? Has it changed much in the recent past, and where do you see it going in the next 5-years? Robbie: Originally I was a little sad by the lack of Chinese martial arts offered in Chengdu. At least ones that are openly advertised. I notice that the youth in China are not focused on continuing these kinds of traditions as much as a foreigner might imagine. 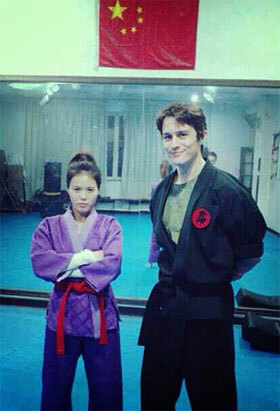 I was, however, very surprised in how many foreign martial arts are offered in Chengdu. There seems to be a large interest in everything from MMA to Kendo. However, I believe as the economy in China continues to grow, we will see more and more people taking an interest in hobbies and self defense alike. CL: How does the martial art that you practice differ from kung fu, sanda, or Chinese martial arts? Robbie: My personal experience in Chinese martial arts is somewhat limited to a little bit of Taichi and memorizing Wing Chun wooden dummy forms. However I will say that I have been asked by many of my friends who do have some Chinese martial arts training to “show me something!” as they step back and wait for me to do… something. I explain that Taijutsu is about the distance, timing, and warrior spirit. That it is focused on interactions. There is very very little we do that can be displayed and made to “look cool.” I watch the grandmaster apply a technique and it almost looks like he is doing nothing. The longer you stay in a martial art, the cooler that sort of thing looks. CL: How is the martial art that you practice identified by Chinese people? Is it appreciated by virtue of it being imported from abroad? Is there any stigma associated with it simply because it is Japanese? Robbie: I was actually recommended to lie about what martial art I train in while in China simply based on the fact that it’s Japanese. I have heard everything from “You go to China and teach martial arts?” to utter outrage that I teach a Japanese art in China. Generally speaking, people are pretty accepting of the fact that I teach Taijutsu here, and if they are not, well, they don’t tend to come to my classes. CL: Where can people learn more about this martial art, find you, or train with you? 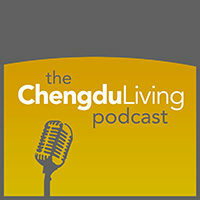 What can Chengdu Living do to help you help you advance awareness of this martial art? Robbie: I recommend that you do research online. Surprisingly enough, the Wikipedia article on the Bujinkan is quite good and a great place to start. If using YouTube, I would recommend looking up anything with “Masaaki Hatsumi” in it. You may also add us on WeChat or simply come to class and check it out for yourself. The first class is always free and many of my students are bilingual and they do a great job translating. Scan the QR code at right to join our WeChat group. CL: Is there anything else that you’d like to add? 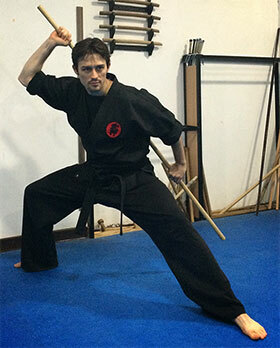 What do you want people to know about yourself, this martial art, or what you’we working to build in Chengdu? I look forward to the day I can bring students from China with me to experience the same. And this starts here, in Chengdu. Robbie is a top notch instructor: passionate and patient. Excited to see this interview up and have him share his insights on martial arts with the general public. For those that are looking into active lifestyle outlets in Chengdu, his classes are definitely worth checking out. I assume you attended one – how does a normal class work? Also if you get to know Vaughn Anderson, he’s into the MMA scene here. How can I get hold of Shidoshi Worth? Does anyone have an email address I can get hold of him on? I’d love to become part of the class. Feel free to contact me directly at 152-0837-5382. This phone number is also connected to my wechat. You may also extract the QR code above to get into our pubic wechat account which has events, times, and address of the school. I have contact details if you would like to train with one of Thailand top internationally known fighters one on one. I can say from my own experience that you only will not only see fantastic results but you will be learning the authentic way of Thai fighting. Group personals are available with maximum 3 people at a time. “Blinding Powder.” As something to teach to students. 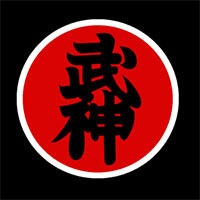 Since; we are talking about Ninjutsu; here! Which is regarded as a Low-Down, Rotten, Dirty; unethical and dishonourable “Methodology” in the first place! And; that is saying something; since the Japanese say so themselves! Chinese schools simply would NOT endorse such things! “Blinding Powder”; as every schoolboy Chemist will inform you can be made from Common Chalk. And to remove it from your face and eyes should u be attacked is NOT; to use water. H2O. But; to use oil. Common Veg. oil would do! Otherwise; an exothermic reaction will occur with the water.